Pictures taken while visiting San Francisco, California, for the fall 2007 AGU conference. 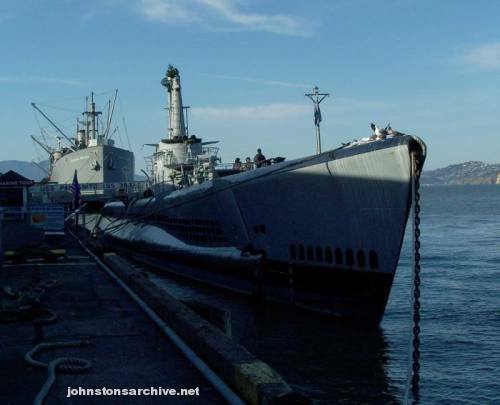 USS Pampanito (SS-383), Balao class submarine, sank 6 Japanese ships during its six patrols during WW2. 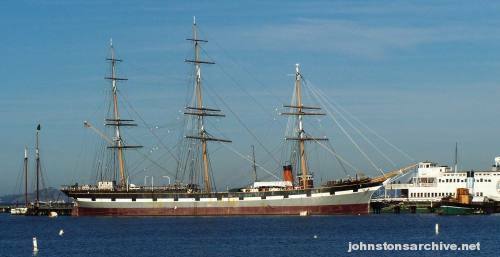 The Balclutha, launched in 1886 by the British, made 17 runs around Cape Horn, later operated by Hawaii and then an Alaskan company, transferred to the San Francisco Maritime National Historical Park in 1978. The park service also notes: "she appeared in the film Mutiny on the Bounty (Clark Gable and Charles Laughton also appeared in supporting roles)." In the right foreground is the steam tug Hercules, launched in 1907, behind it is the Eureka, a steam ferry launched in 1890.